The DMO, CP4 EPSPS, Bt-Cry2Ab, and Bt-Cry1Ac ImmunoStrips are to be used in transgenic cotton leaves and seed for the detection of the following traits: dicamba (DMO protein), Roundup Ready® Flex (CP4 EPSPS protein), and Bollgard II® (Bt-Cry2Ab and Bt-Cry1Ab/1Ac proteins). 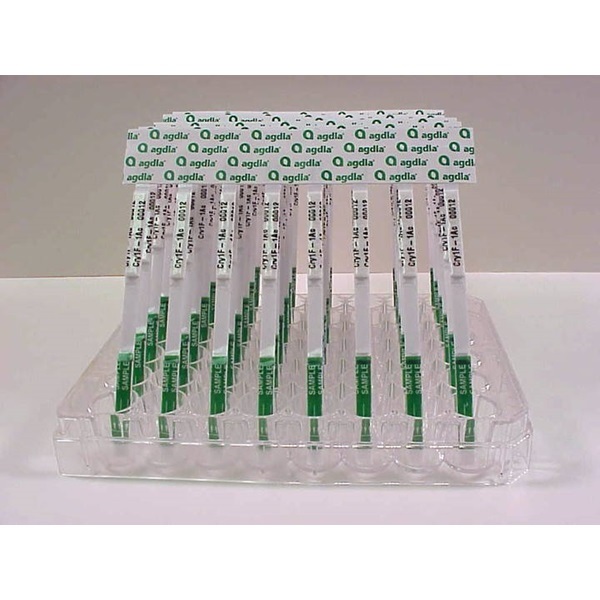 This multi-analyte ImmunoStrip® has shown no cross-reactivity with AAD-12, Bt-Cry1F, Pat/bar, or Vip3A proteins. 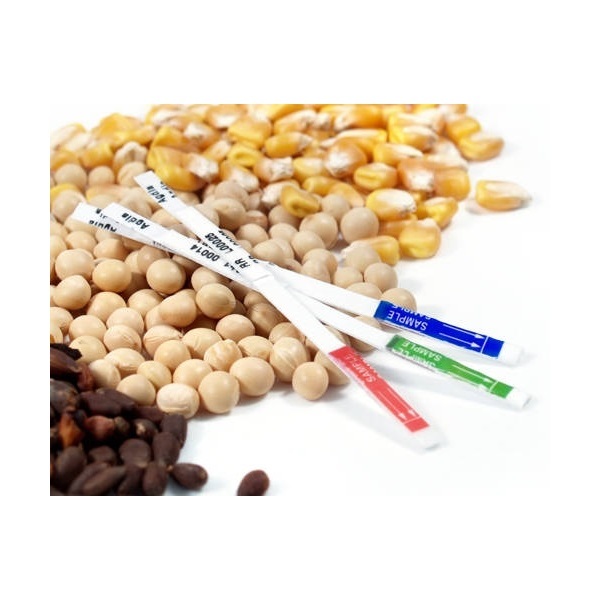 This ImmunoStrip® test is offered in canisters of 50 strips or in 48-well and 96-well comb configurations for high throughput testing applications. Individual lines are specific for DMO, CP4 EPSPS, Bt-Cry2Ab and Bt-Cry1Ac. Bollgard®, Bollgard II®, Roundup Ready® Flex, and XtendFlex® are registered trademarks of Monsanto Technology LLC.